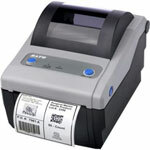 CG408, Desktop Thermal transfer Printer, 203 dpi, Interface Options: Serial, USB, Maximum Print width 4.1", ZPL. CG408, Desktop Thermal transfer Printer, 203 dpi, Interface Options: Ethernet, USB, Maximum Print width 4.1", ZPL. 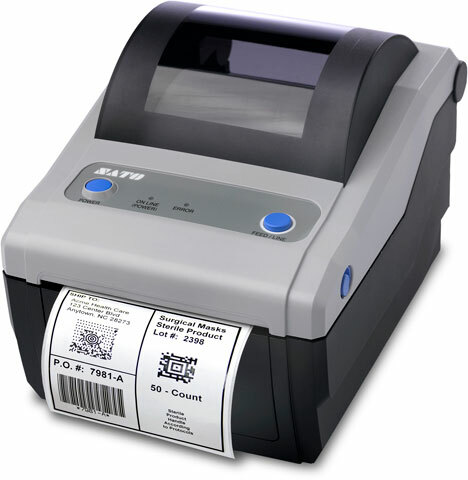 CG408, Desktop Thermal transfer Printer, 203 dpi, Interface Options: Serial, USB, Maximum Print width 4.1", ZPL, Cutter. Service Contract - 2 year, CG408 Extended Warranty without Printhead Coverage. Service Contract - 2 year, CG408 Two year Extended Warranty with Printhead Coverage. Service Contract - 1 year, CG408 USB+LAN Direct thermal Spare-in-the-Air Program. Service Contract - 1 year, CG408 USB+LAN Thermal transfer Spare-in-the-Air Program. Service Contract - 1 year, CG408 USB+Parallel Direct thermal Spare-in-the-Air Program. R435B Premier, 2.52" x 295' Black Resin Ribbon. Compatible with CodeGate4 Series Printers. 24 ribbon case. Used with polyester labels. Also available as a single roll (Part# 12S000332-R). R435B Premier, 3.5" x 295' Black Resin Ribbon. Compatible with CodeGate4 Series Printers. 24 ribbon case. Used with polyester labels. T110A Premier, 4.33" x 295' Black Wax-Resin Ribbon. 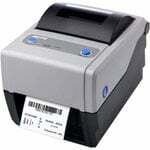 Compatible with CodeGate4 Series Printers. 24 ribbon case. Used with polypropylene labels. Also available as a single roll (Part# 12S000320-R).